This winter was cold. 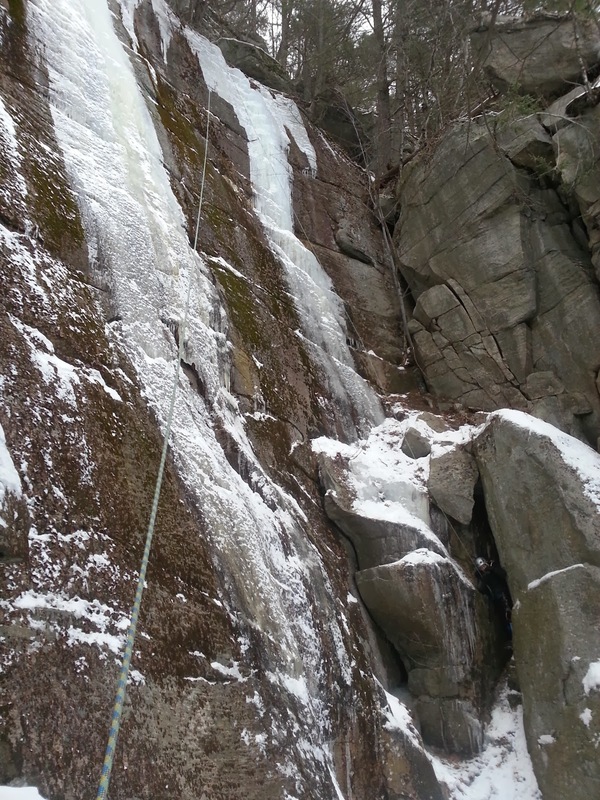 Cold is good for ice formation at south-facing climbing areas like Farley. 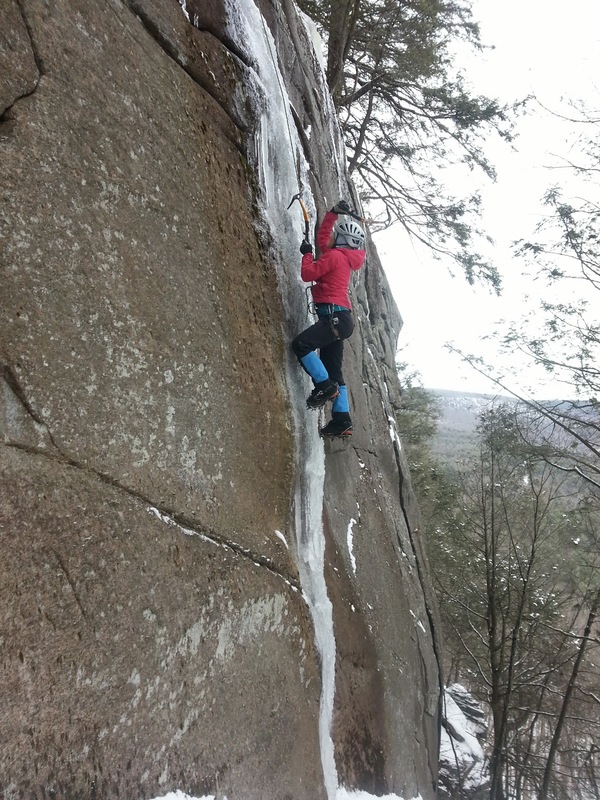 September will mark the start of my fourth year in the Pioneer Valley, so it was about time that I check out the ice at one of our local crags. 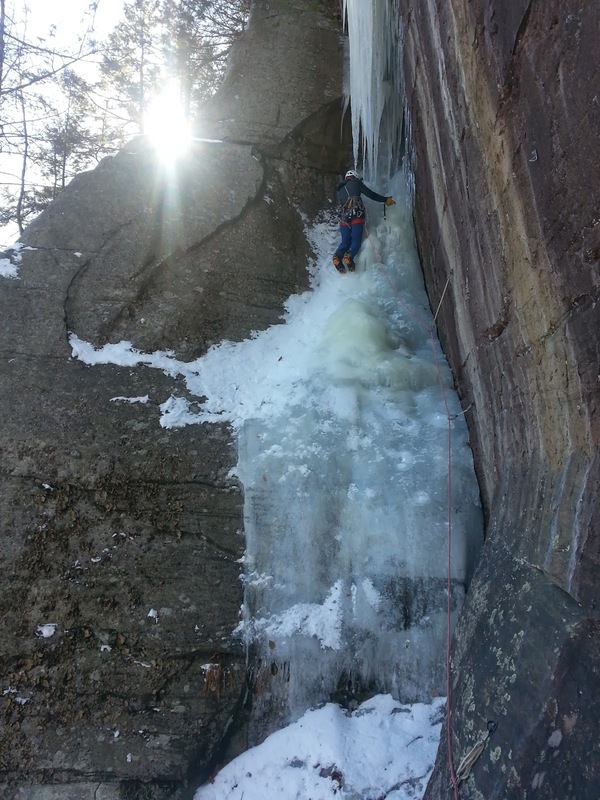 There isn't a ton of ice at Farley, but nearly every route has a bit of engaging climbing. 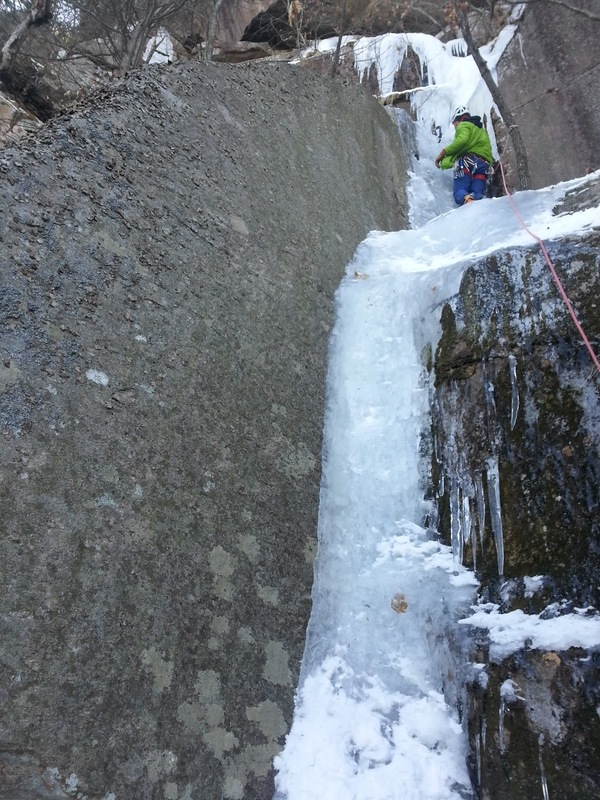 Over the course of three days this season I climbed several lines there. I'm excited for the next cold winter so I can explore there more. Here are some photos from this winter. It's only taken me a month and a half to post them. Andy found this gem on the right end of the lower tier. 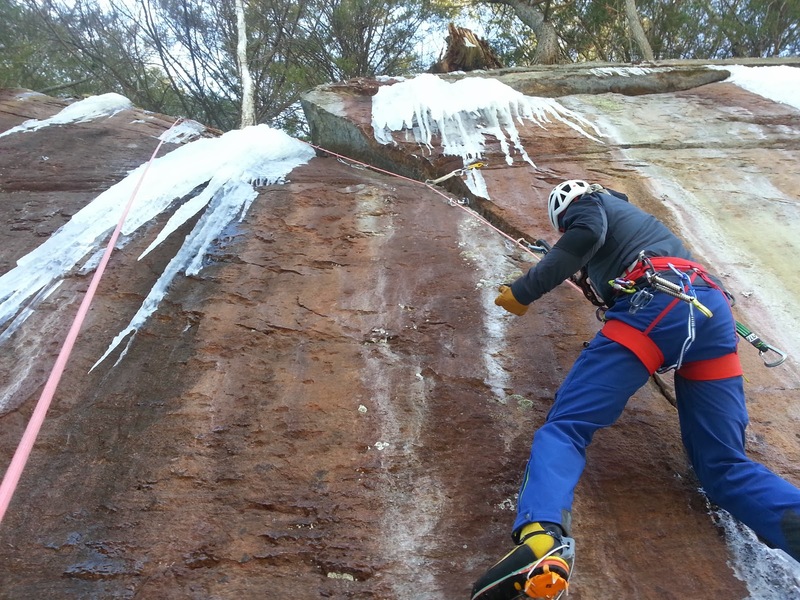 We did an M5 rock second pitch too.